There are various reasons to transfer data from a Windows PC to an iPad. Most of the users stumble upon the fact that those devices are running on different Operating Systems and because of that they think it would be very difficult to transfer anything from one another. Well, it is true that there are security measures and compatibility issues which create a boundary between the devices. But the fact is that now you do not need to worry about anything. Both of the companies have realized the situation of the users and they have created various apps to overcome this situation. Some of these apps are paid and some are free, but why would you want to pay to transfer photos from PC to iPad, if you can do it for free. Here are some free options that you can try right now. If you are looking for ways to transfer pictures from PC to iPad, then you should use a reliable and efficient app for the task. Although Apple has provided a lot of apps with various capabilities to support the needs of the users, users are still looking for a simple but efficient option. Tenorshare iCareFone is such a third-party app. With its simple interface it has gathered a lot of fan following. It comes with a File Manager feature that can help transfer photos or any type of files from one device to another with ease. It is available on both Windows and Mac and most importantly, there are no limitations to space. It is extremely fast in transferring data selectively or in bulk. Here are the steps to transfer photos with Tenorshare iCareFone. 1. Download and install the Tenorshare iCareFone app on your Windows PC. 2. Run the app on your pc and connect it to your iPad/ iPad Pro/iPad Mini with a USB cable. A few moments later, Tenorshare iCareFone will recognize your device. 3. Now, on the main interface panel, click Manage. 4. Select Photos from the left pane and click Import button to find the target photos. 5. Finally, choose the photos you want to transfer from your computer and click on Open and then the photo transfer will begin. Note: You will need to install iCareFone app on your iPad to get photos transferred. 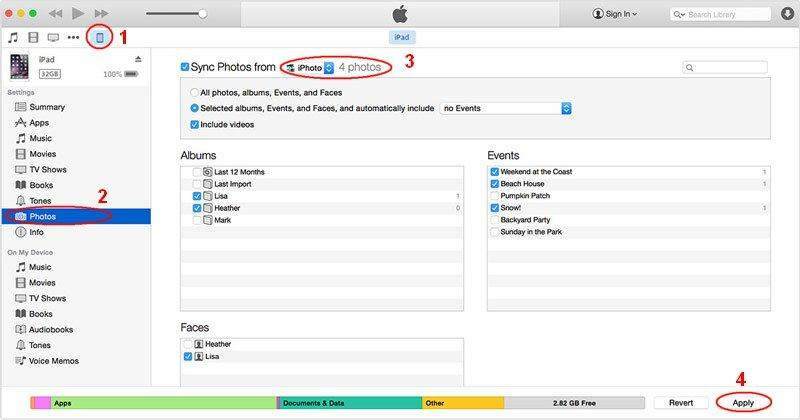 This will help break Apple's limitation that photos transferred via 3rd party tool cannot be deleted on device. As you can see, Tenorshare iCareFone is a very efficient app that will easily transfer your photos without any risk of data loss. Now, you do not have to ask how to copy photos from PC to iPad all over the internet, just download and install the app and you are good to go. If you want to copy photos from PC to iPad, you can use the old and reliable iTunes app. As one of the oldest apps on iOS, iTunes features several functions that are loved and followed by many users. You should know that iTunes also has a few drawbacks, like when you transfer the photos it will eliminate all the existing photos on your iPad. So, before you start to transfer photos from computer to iPad, you need to download and install the latest version iTunes for Windows on your PC, after that you can move forward. 1. Connect the iPad to the Windows PC with a USB cable. 2. The PC will recognize the device after a few moments; it will be registered as a Portable Device. 3. Now, go to the Menu bar on iTunes and enter the Device Tab. 4. Now, select Photos found on Settings and activate the Sync Photos option. 5. Select where you want to export your pictures and select Copy Photos from the drop-down menu. 6. Finally, click Apply to transfer the photos. Unlike a lot of modern apps on the market, iTunes is very slow when it is transferring data from device to device. 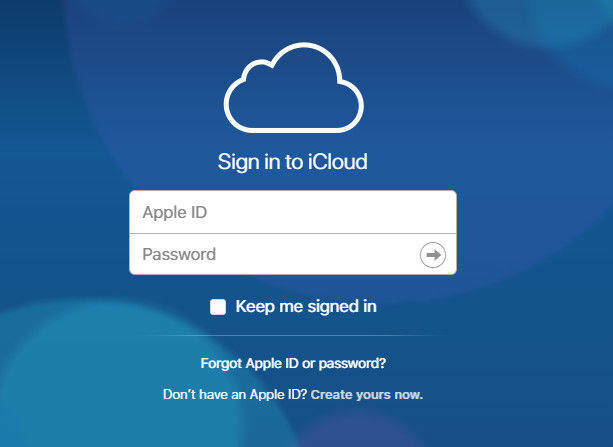 Many users have complained about the data loss or overwritten data problem of iTunes app. The new photos will remove all the old saved photos. The PC version of the app takes a lot of time to download. 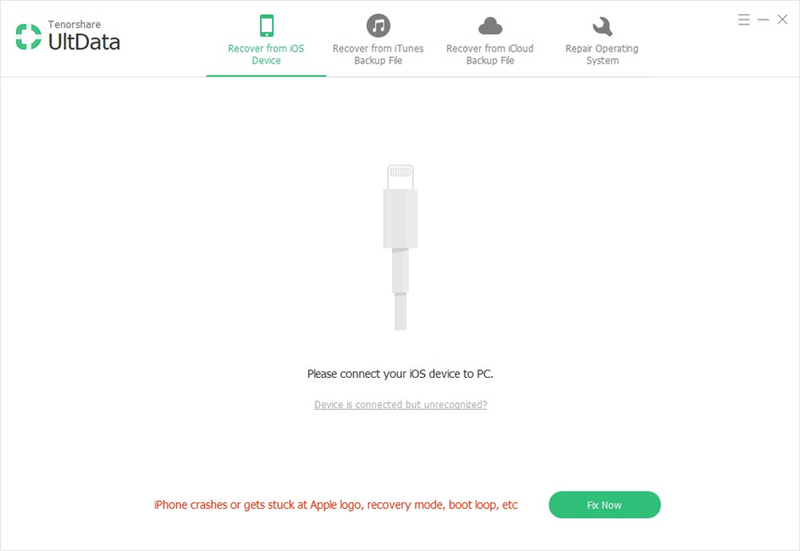 Nonetheless, users will inevitably need to transfer files from one device to another and are always looking for solutions all over the internet about how to transfer photos from computer to iPad. At the moment the boundary between Windows and Apple OS is thin and nearly non-existent. But we keep forgetting that there are very efficient and stable ways to transfer files from Windows to iPad. Being one of the oldest apps on iOS, iTunes has become the most suitable option for a lot of users. But Tenorshare iCareFone is at the top of the list and many users are using this third-party app, instead of Apple certified apps like iTunes or iCloud. So, now you can just stop asking how to transfer photos from PC to iPad and go for the most suitable option available, Tenorshare iCareFone. Highly recommended! !